All the more airlines are offering direct flights from European destinations to the Ionian Islands Region, which includes such favorites as Zakynthos, Kefallonia, and Corfu. More specifically, budget lines Lauda Motion (now belonging to Ryanair Holdings) announced two weekly flights from Vienna to Corfu, and once a week to Zakynthos as of March 31, on Airbus A320 craft. Austrian carrier People’s said it would be running direct connections from Vienna to Aktio on Tuesdays starting June 4 through to September 24, on Embraer 170 airplanes. Alitalia also announced a new direct link from Rome’s Fiumicino Airport to Kefalonia every Monday as of July 29 to August 26, on Airbus A319. In relevant news, Greek regional airline Astra Airlines announced that it would be launching flights from Thessaloniki to Kefallonia running from June to September. 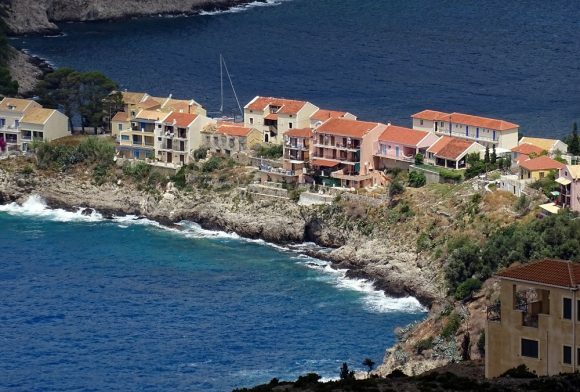 “The Ionian Island Region has taken steady steps to respond effectively to the needs of the islands’ tourist market and of their inhabitants,” said Ionian Islands Region Vice Governor Spyros Galatsiatos, adding that 2019 is yet again expected to be “another record year for tourism for our islands, boosting both the local economic and social development”.